“They say people don’t believe in heroes anymore. Well damn them! You and me,Max, we’re gonna give them back their heroes!” – Fifi (Roger Ward) Max 1979. I have made no secret of my love for the original Mad Max movies. I have been fighting equal but conflicting feelings towards the long overdue latest instalment Mad Max: Fury Road. I am pleased to report that it is every bit as good as the first two films and short of an incredible second half of the year, a film that will make my top ten of 2015. As much as I enjoyed the film, it does make me ask some questions. I am not going to review the film but I do want to talk about a few aspects of it. I assume most people reading this will have seen the film and have some knowledge of the original trilogy. For those that don’t a little background for the uninitiated: The first film was set “A few years from now” at time when society is beginning to crumble. After his wife, child and best friend are killed by a biker gang, cop Max Rockatansky steels the forces best vehicle and goes out seeking revenge. Mad Max 2 picks up a few years later and further into a dystopian future. Max gets involved with a small community wishing to escape a nomadic gang who want their precious fuel. By the third film society is virtually back to the dark ages. Max first encounters Bartertown, a hub for scavengers and desperate people then a group of children with no memory of the world before the fall. He eventually becomes a reluctant hero. Fury Road is set at an unspecified time that appears to be somewhere between parts two and three and is essentially a reboot rather than a sequel. Max is captured by the War Boys, the army of cult leader Immortan Joe (Hugh Keays-Byrne – who also played Toecutter in the first film) who is also in condole of the only supply of clean water. Imperator Furiosa (Charlize Theron), driver of an armoured “War Rig” deviates from her mission to collect gasoline taking with her Joe’s Five Wives – young women held hostage for breeding – the war party sent in pursuit give Max the opportunity to escape in turn bringing him back to humanity from the brink of insanity. When I learnt that there was to be a new entry to the series without the presence of Mel Gibson as Max, I suggested they should make a movie in the Mad Max universe but without the character of Max. To the credit of writer director George Miller, that is largely what he has done. 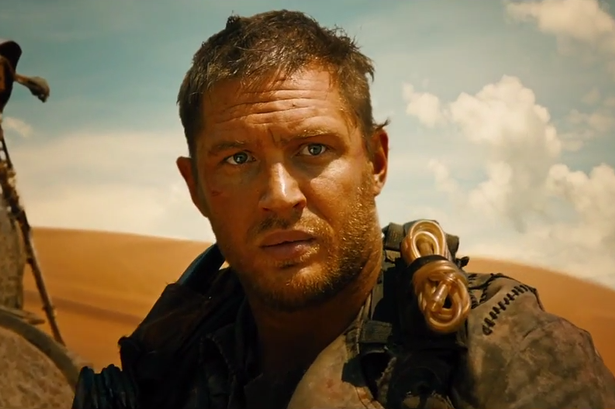 Tom Hardy takes over the title of Max Rockatansky, but he is a very different character to Gibson’s Max, a more haunted by his past. 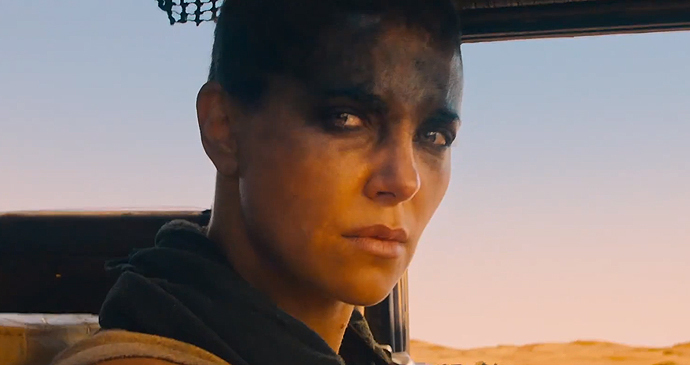 The centre and heart of the films is Charlize Theron’s Imperator Furiosa. Max offers the viewers a way into the story and its setting, but the story could have been told without Max. Imperator Furiosa is a strong enough character to carry the film especially with Charlize Theron’s stunning performance. Hardy is very good as Max and I enjoyed his performance, I am not suggesting the film would be better without him or his character, but do think it would be more interesting. Is there a fear of letting a woman carry a film like this? I can’t complain about George Miller after he has given us a film with such a strong female lead but have to ask the question. Those familiar with the original 1979 film will remember it as a violent revenge film: “The chain in those handcuffs is high-tensile steel. It’d take you ten minutes to hack through it with this. Now, if you’re lucky, you could hack through your ankle in five minutes. Go.” however on re-inspection you will realise that only the last fifteen minutes of the 88 minute runtime is devoted to Max’s revenge. Similar is true of Mad Mad 2 from 1981 (known as The Road Warrior in some counties). 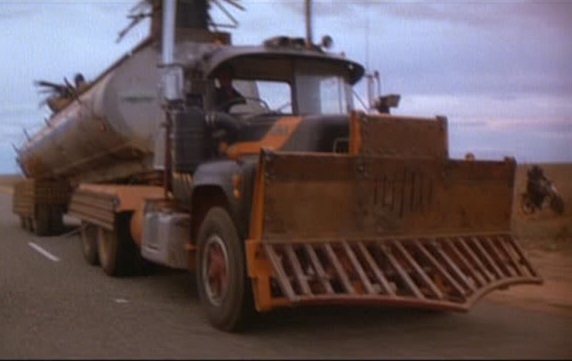 We all remember the chase scene with Max driving a Mack truck towing a tanker (or a bulldog Mack with a can on back, to quote Convoy), but that scene is only around 20 minutes of 95. Fury Road on the other hand is made up largely of one long chase scene. This is far from a criticism, it offers the purity and intensity of The Raid (2011) or Black Hawk Down (2001) that devote their running time to one idea. That said I am not convinced Fury Road needed to be two hours long, a little trimming could have made a better film. Easily the greatest triumph of the film is visual effects; Sam Raimi’s Spider-Man looked like he was made of rubber and never seemed real. The same is true of Michael Bay’s robots. As many times as they hit each other, or as fast as they move, they never seem to me made of metal or have any mass. Possibly the worst offender was G.I. Joe: The Rise of Cobra (2009), whilst trying to sell us on the idea of super power suits but fail to make a motorcycle move like a motorcycle. Why am I telling you this? Simply because Mad Max absolutely nails it. Not through the use of the latest and greatest CGI, but by using real stunts performed by real actors and stunt performers where possible. Over 150 stunt performers were used including Cirque du Soleil performers. It has been suggested that around 80% of the film is real, this is not to say modern technology was shunned over 1,500 effects where used. It has been suggested that this is the start point of a new trilogy, I am certainly onboard for this but can’t help thinking Max’s story has been told and I would like to see more of Imperator Furiosa. If you are still wondering why I called this article “Hope and Redemption” watch the movie to find out. In one of its quieter moments, it is at the heart of the movie, but then isn’t it what most movies are about? 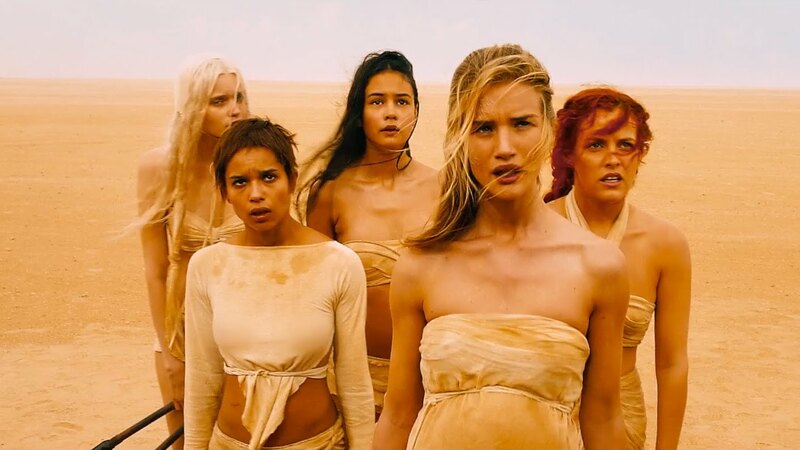 We are less than two weeks from the UK release of Mad Max Fury Road. A film that has been in production for what seems like ever. There were rumours of a fourth film as long ago as Mad Max Beyond Thunderdome (1985). I wrote about it five years ago with an expected release in 2012 or 2013. I picked up the story in 2012, beyond the time when the film should have been released, it hadn’t even begun shooting. They should have started primary location filming in Broken Hill, New South Wales, the same as the original movies. Production was first delayed by heavy rain, then a big decision was taken. The unprecedented rain turned the desolate desert landscape into a lush green and flower filled garden making it aesthetically unsuitable. Production moved to Namibia. Anyone who has seen Richard Stanley’s B movie masterpiece Dust Devil will know that it will make a suitable alternative. 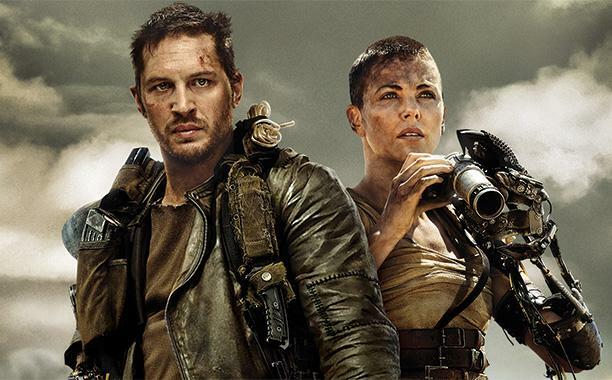 By this time the cast was largely in place with Tom Hardy will be taking over from Mel Gibson as the eponymous antihero Max Rockatansky and Charlize Theron with a well publicised shaved head in an unnamed but significant role. Young up and coming actors Nicholas Hoult, Zoë Kravitz, Rosie Huntington-Whiteley and Riley Keough (granddaughter of Elvis and Priscilla Presley) were also cast. The big question was if Mel Gibson would cameo. Ultimately, it appears he won’t. At the time the plot was kept under wraps but the implication was that the film would be a direct sequel following on from Beyond Thunderdome. This seemed plausible in one way as Hardy is a little older than Gibson was in 1985. However pre production shots and video keep showing Max’s 1973 Ford Falcon XB GT “Pursuit Special”, the car that was destroyed in the second film. This led to speculation that the film would be set between the first and second films or a reboot. At the time I suggested a middle ground, rather than reboot the series, make a new series with new character, similar to Max but not Max, set around the same time in a different part of Australia. It was finally revealed last year that it would be a reboot. Director George Miller suggesting too much time had passed for a sequel and there would be too many continuity issues and creativity restrictions to set a film between any of the existing films. Interestingly he hasn’t gone back to the beginning of the story, this makes a lot of sense. The events of the first film are integral to the character, but why return after thirty years to retell the same story. This suggests the film could be a direct sequel to Mad Max rebooting Max Max 2. One of the most interesting things about the film is the casting of Hugh Keays-Byrne as Immortan Joe. A new big bad in the vein of The Humungus from Mad Max 2. Fans of the original Mad Max trilogy will know Keays-Byrne as “Toecutter” the head of the biker gang. Are the two characters connected? I have enjoyed all ten movies I have seen this month, but one stands out as a joyous and timeless classic of its genre, which will be movie of the month? 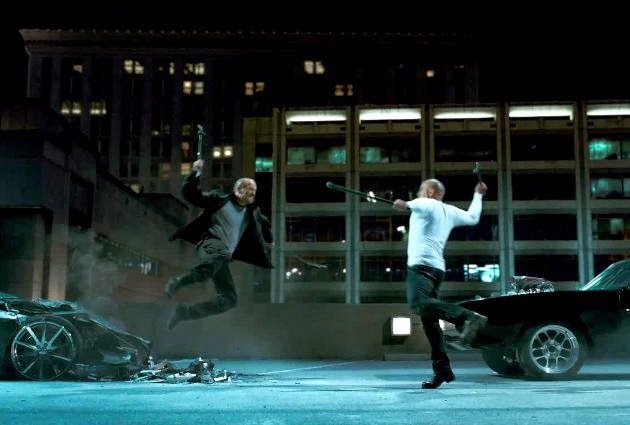 Fast & Furious 7: The franchise has morphed beyond all recognition since its first incarnation fourteen years ago. Made under the shadow of the untimely death of star Paul Walker the film is totally stupid and but is tremendous fun. In the month since I saw it, it has clocked up over a billion dollars. 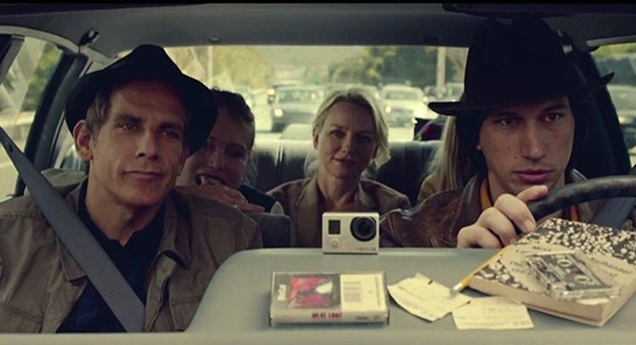 While We’re Young: Noah Baumbach’s comedy drama combines the themes of a midlife crisis with intergenerational jealousy. It has more than a whiff of Woody Allen and is as good as Allens best of recent years. Ben Stiller has again proved to be a good actor with the right material. 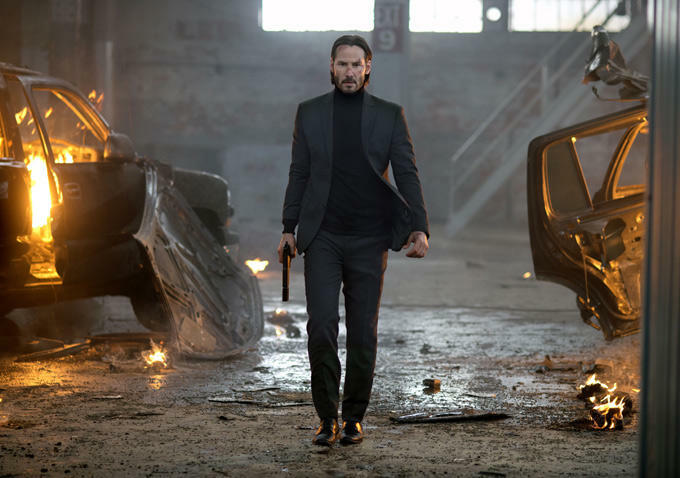 John Wick: Bonkers over stylised ultraviolent revenge thriller. Breaking from the current trend of fast cutting the film has some of the best fight scenes in recent memory. 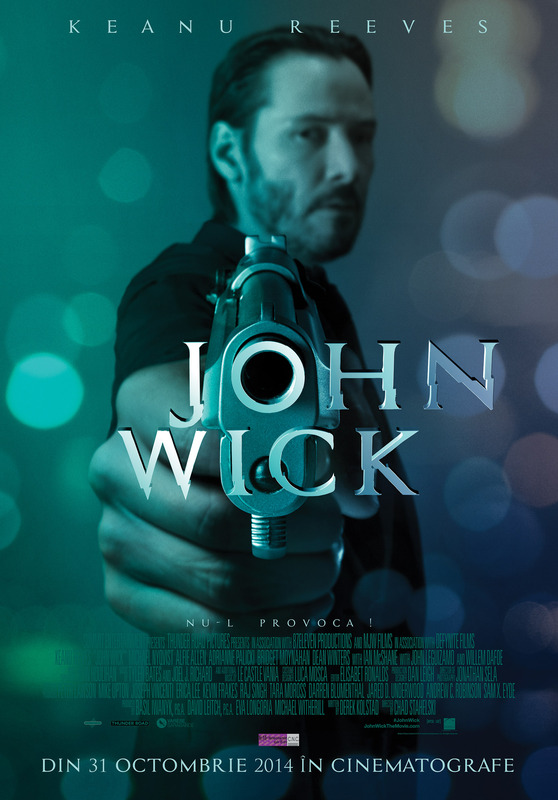 Keanu Reeves is perfect taking on elements of many of his previous characters. 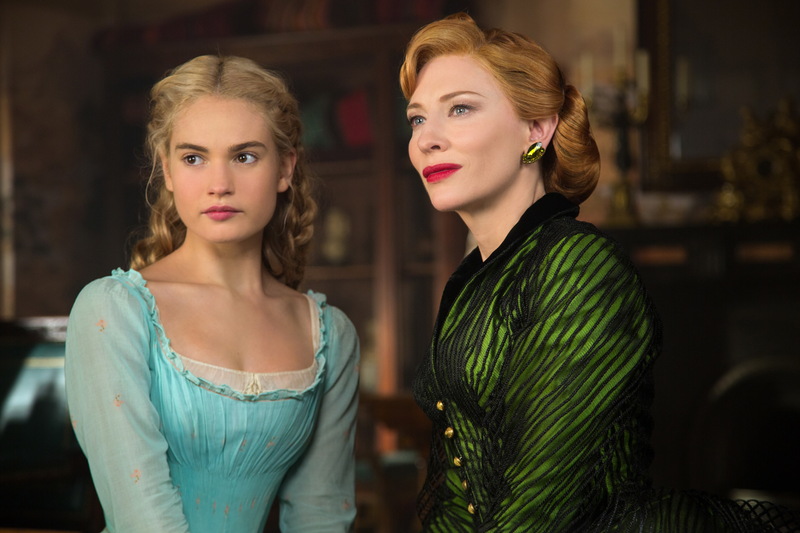 Cinderella: Kenneth Branagh’s live action take on a story we have seem many times before. On the surface it is very vanilla and by the numbers, this is what will probably make it timeless. Cate Blanchett and Helena Bonham Carter are great and have fun in the more showy roles, Lily James and Derek Jacobi give great performances. Good Kill: Back in 1986, Tom Cruise’s character Vincent in The Color of Money spoke about gamers being the future of warfare. More recently he has suggested that a Top Gun sequel would involve drones. 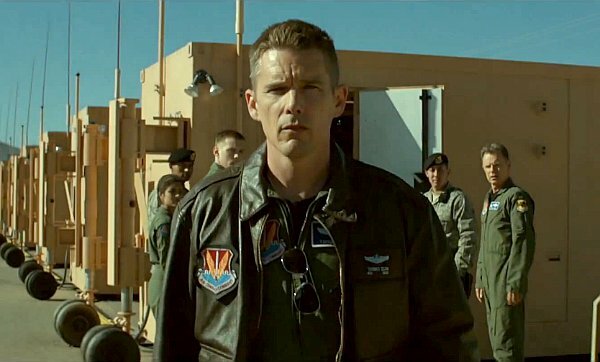 Gattaca director Andrew Niccol has beat them to it, reteaming with Ethan Hawke. A gripping story that could possibly be the first truly modern war films. It is however a little to low key for its own good. 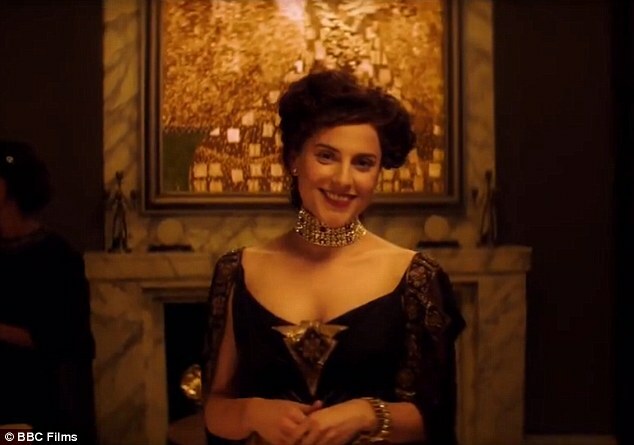 The Woman in Gold: Despite the well known story and the terrible trailer, it is actually a decent film. Helen Mirren is good but her Austrian accent distracting. The wartime scenes with Orphan Black’s Tatiana Maslany are better than the modern day scenes. The Salvation: Surprisingly for a film shot in South Africa and directed by Danish Dogme95 director Kristian Levring The Salvation is one of the best westerns of recent years. 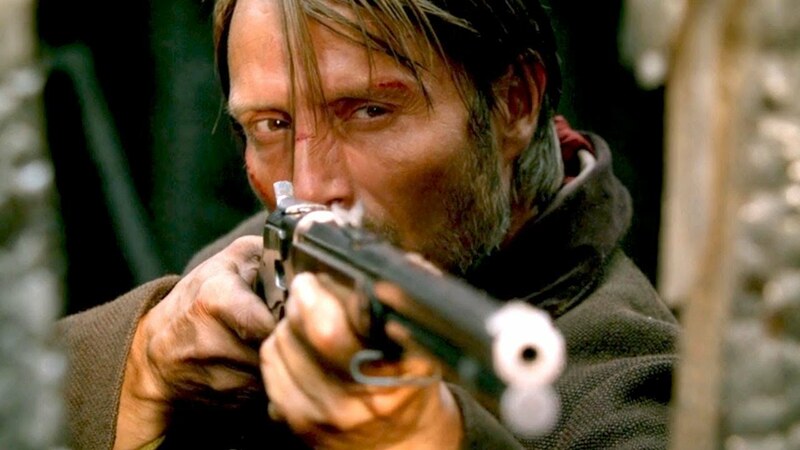 Mads Mikkelsen and Eva Green are both excellent. Avengers: Age of Ultron: There is so much going on with ever expanding cast and a plot that not only has to tell a coherent story but also has to open threads for several future films. It is a miracle that Joss Whedon keeps so many plates spinning. As with previous films, Scarlett Johansson’s Natasha Romanoff / Black Widow is still the most interesting character. Child 44: Based on Tom Rob Smith’s acclaimed debut novel of the same name, that in turn was based on real events. 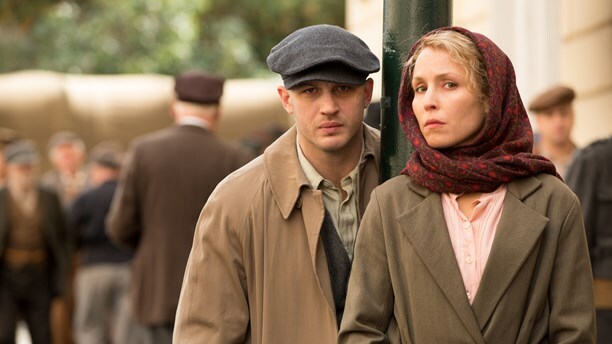 Well acted particularly by leads Tom Hardy and Noomi Rapace but let down by an unfocused story and a lack of direction. The Falling: British coming of age drama set in a girls school. 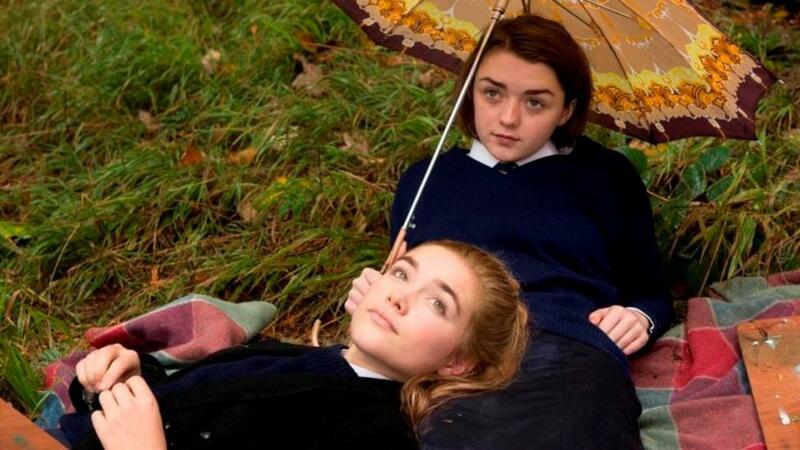 To many viewers Maisie Williams will be the most recognisable thatnks to her part in Game of Thrones, Maxine Peake is as brilliant as you would expect, but newcomer Florence Pugh is the most memorable. I have heard criticism of the final act, for me this is one of the strongest things about the film that helps it linger in the mind.